Flounder fishing is best in the Myrtle Beach area from March – October. 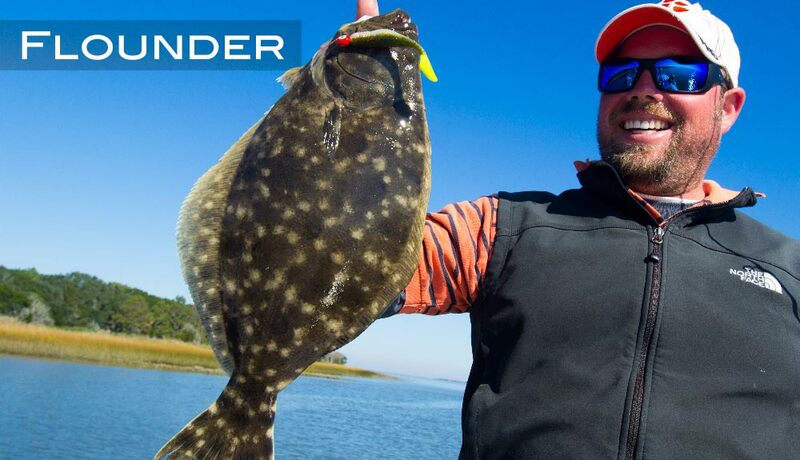 We target flounder using a number of different techniques including drifting or trolling live bait, casting artificial lures into likely ambush spots, and sight fishing for flounder in shallow water. Flounder begin to move in the coastal estuaries when water temps climb back into the 60s and are more abundant in lower salinity estuary waters. Flounder migrate offshore in fall and winter months to spawn. Maximum Age: approx. males – 5 years, females – 7 or 8 years; females are generally larger and outlive males.